The device of Google Pixel 3 Lite has been leaked from Russia and it’s called a more inexpensive version. According to rozetked article, the camera has 12MP main camera and 8MP front camera, which is same as Pixel 3 / 3 XL. The other exact specification or timing of release is not yet known, but the price is expected to be around $400 ~ 500 with 3.5-inch earphones. The quad camera smartphone, Galaxy A9 2018 has been registered on Samsung Russia website. Available colors are Caviar Black / Lemonade Blue / Bubblegum Pink, and the price is RUB 39,990 (about $605). Samsung also launched Galaxy A9 2018 in India on November 20th and the price is around Rs 35,000. 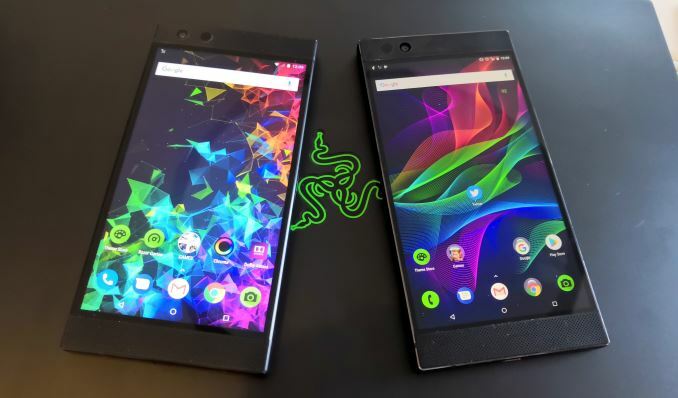 The Razer Phone 2 has been launched in Asia as well as in the U.S and Europe. Taiwan is the first country to launch, and the selling price is NT $25,990 (about $810). You can also purchase Razer Phone 2 via U.S. Amazon, Newegg, Walmart and Razer site at 799.99. Maybe it would be cheaper if you buy during Black Friday or Cyber Monday. The LG G7 Fit will be re-branded as Q9 and expected to be released in South Korea. When it comes to specification, the Q9 may feature rear-mounted fingerprint sensor with 3.5mm headphone jack. It will also have a fast battery charging support. According to rumor, Q9 is expected to offer MIL-STD 810G compliance and IP68 rating for water and dust resistance.